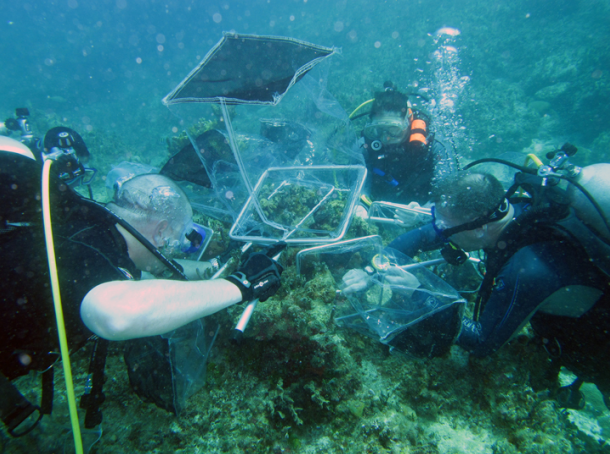 This is the second in a series of guest posts from Aquarium volunteer Sarah M. Winchester. 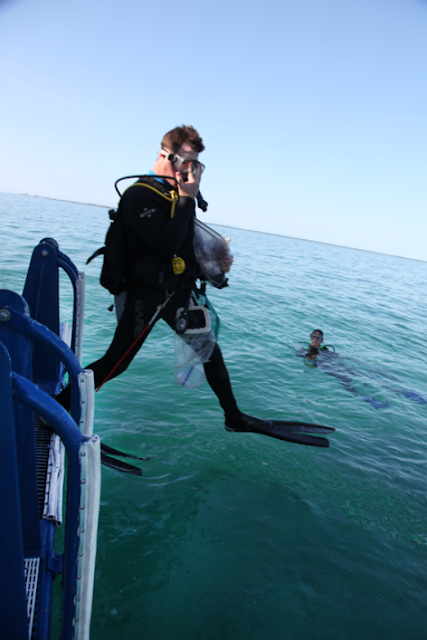 She participated in the most recent Bahamas Collecting Trip. 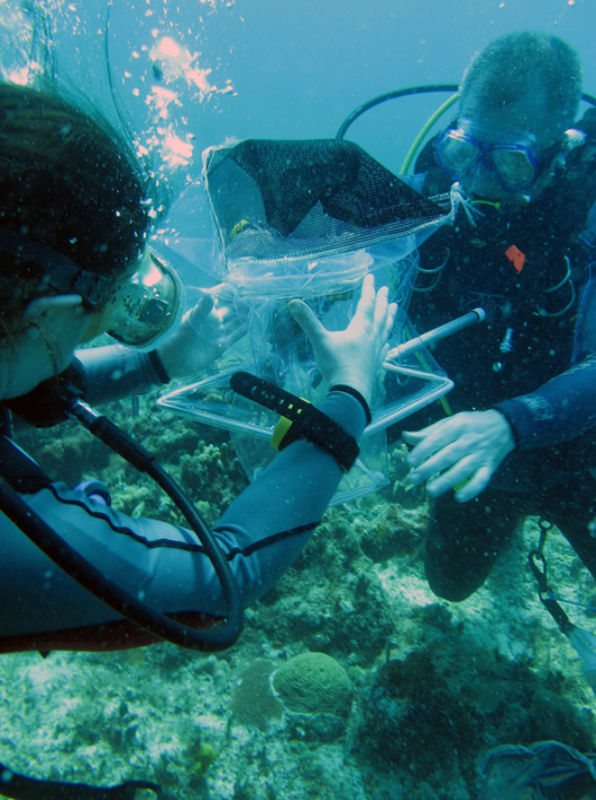 As our expedition leaders are gearing up for next Spring's expedition, Sarah chronicles her experience with the Aquarium in Bimini. 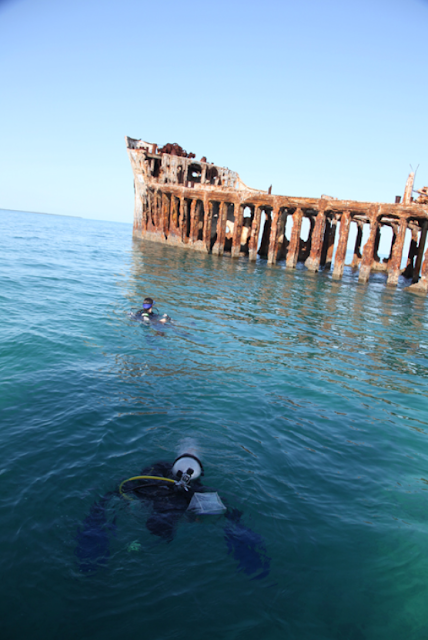 With two dives under our belt in the holding tanks, we dove into day two with a vengeance. The team completed five dives that day, including a gorgeous an afternoon and night dive at the wreck of the Sapona. 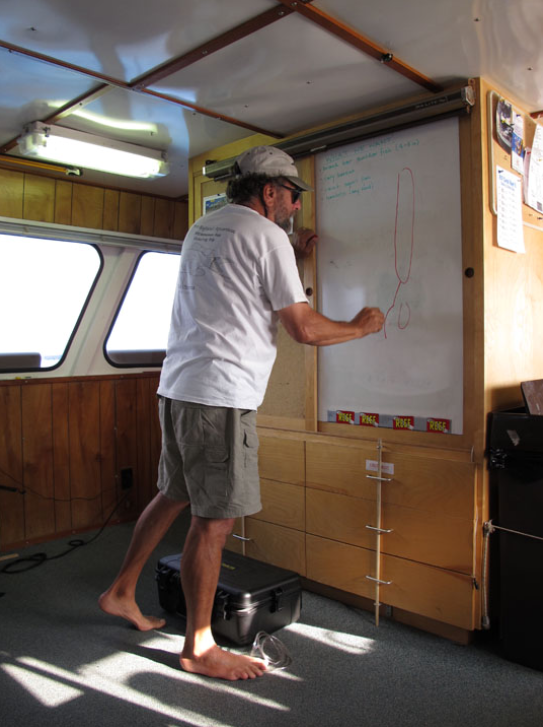 “Chalk talks” before each dive, prepared us for the site and what fish we may encounter. Presumably this name came about when chalkboards were once used and the name stuck. Plus, “whiteboard talk” doesn’t really have that same ring to it. Surround the targeted fish and slowly approach. Enclose it between two nets. 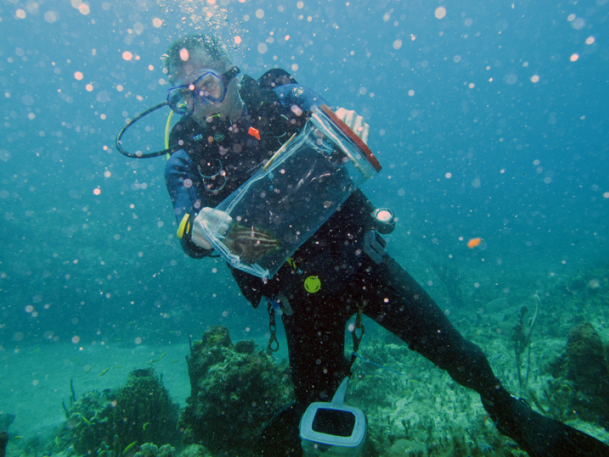 Carefully place the fish in your collecting bag. That is one good looking glass eyed snapper! 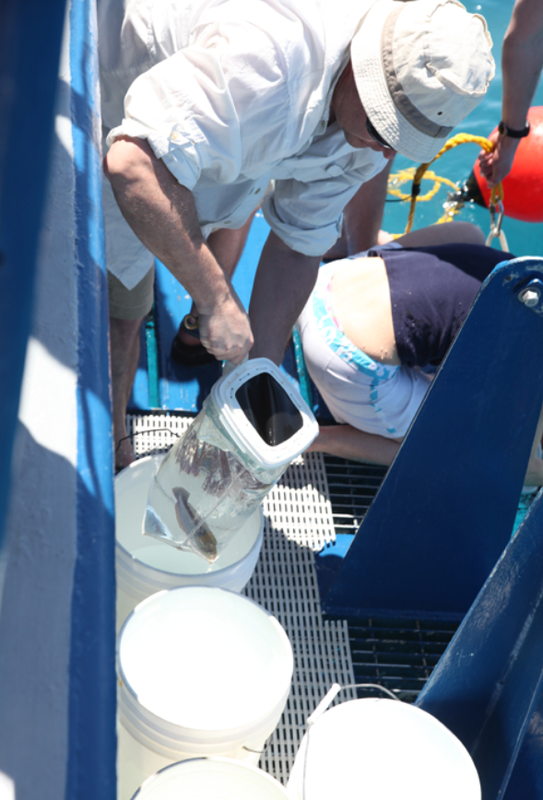 We record the fish as they came aboard, to later submit into the computer with their scientific names. 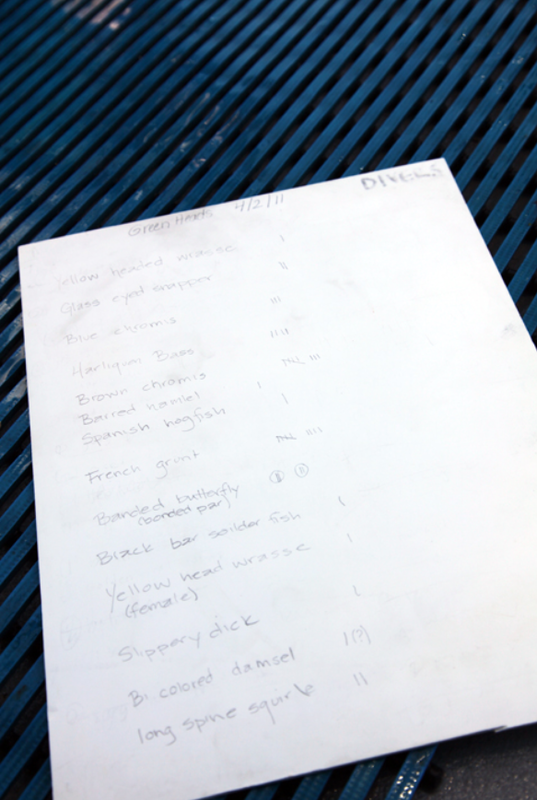 This aided us in keeping an up to day list of what fish we had collected to then later submit to U.S. Fish and Wildlife. Sunset on the Sapona as we ate some dinner and waited for the night dive. Like what you see? 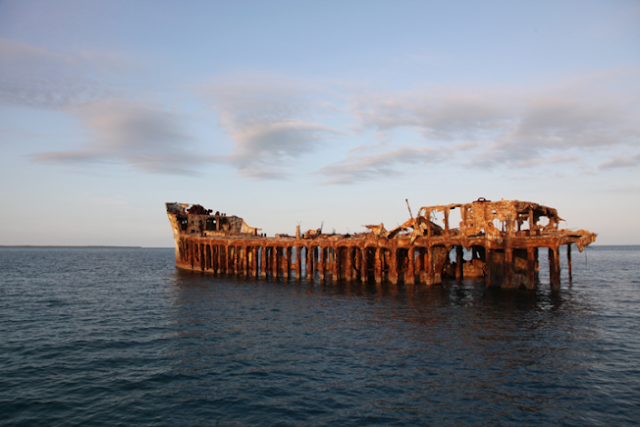 Join us for this Spring's expedition to Bimini, Bahamas! There are a few spots left.